When you change our operating system then things become change like in new OS we get a new environment. Sometimes we feel stupid to do some easy task. This same problem applies for updating your Windows 8 OS. Online updating is not a big deal but what about offline update. The thing is very simple as Autppatcher , a tool to update offline does no support Windows 8. As I have previously said things change with changing OS. 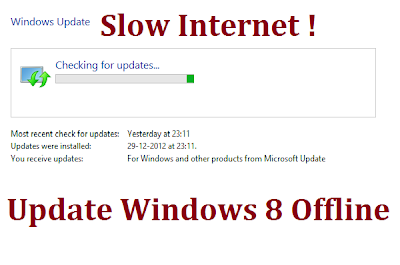 We expect that they will soon provide us an offline update for Window 8 also. The best thing in offline update is you can use the same upodate file to update same config system. And who have slow internet connection can update their OS offline. Then what do now ? We need a new tool to update offline your Windows 8. And the tool is WSUS Offline Update. They just released their version 8.0 supporting offline update for Windows 8. 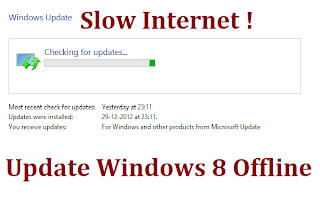 Have a look how to use this tool to offline update Windows 8. Step 1. 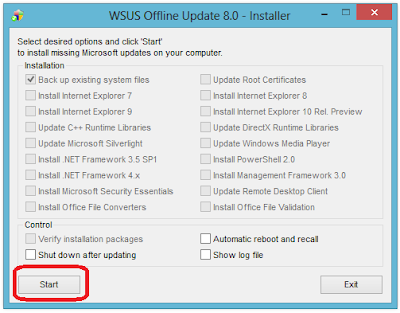 Download WSUS Offline Update tool here Step 2. Unzip the file and open "UpdateGenerator.exe"
Step 5. Command Prompt will open to download the update file so don't close it. Step 8. A command prompt will open to install update. 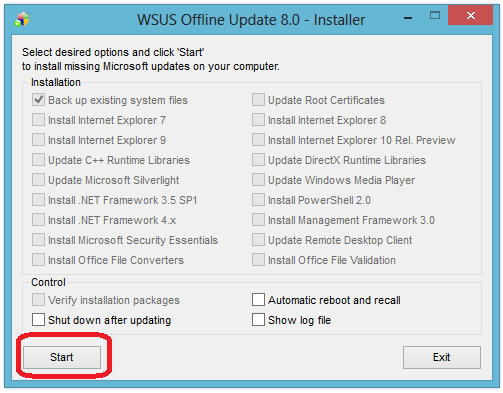 If you want to give this update file to your friends or who want to make offline update, then just give him/her the whole folder (wsusoffline80) , mean after unziping the tool which folder you get and says only to run "UpdateInstaller.exe". Make sure both use same OS with same bit like Windows 8 64bit or Windows 8 32bit. NOTE: By the same method you can update Window XP/Vista/7 offline , just tick on the box according your OS.